According to Marketwatch, the closest any cities in New England are getting to the top of the savings chart is with Hartford, Connecticut. The city comes in at number 5 on the list of cities with the highest employee contribution rates and the highest total savings rate for retirement. Other cities on the list were located in states from the south (Texas and North Carolina) or west (California, which made several appearances). If you live in another metro area up north like Boston Massachusetts or Nashua New Hampshire, it’s time to up your retirement savings game. The easiest way to get started is by taking advantage of your 401k with your employer. If your employer offers to match a certain percentage of your contributions, that means they’re adding money to your retirement account just because you are. It’s free money on the table, so take advantage! First, look at how much your company offers to match. Aim to contribute at least enough on your own to secure that match. For example, your minimum goal should be to contribute 3% if the company match on your 401k is 3%. This automatically doubles your savings rate. But don’t settle for meeting the match. Even with a 3-4% match, your savings rate is only at 6-7% — and that’s not going to cut it for retirement. Push for more and contribute as much as you can. It’s challenging, especially if you’re just starting out as a young professional, but you can do it. Start with upping it 1%, and then 2%, then 3%. Make sure you increase your contributions with every raise, as well. Upping your contributions to your 401k is a good start — but don’t stop there! Next, you need to look at where your money is actually going once it’s invested. We know that active investment management doesn’t live up to the hype. Over a long period of time (think 20, 30, even 40 years), a passive investment strategy usually wins out for average investors. With that in mind, work to build a balanced portfolio of index funds instead of chasing performance and constantly trying to buy or sell into what’s hot right now. For those that feel wary about investing, try target date index funds. These offer a low-cost, “set it and forget it” way to invest the money in your 401k. One of the big reasons active mutual funds (as opposed to index mutual funds) aren’t all they’re cracked up to be is because they are expensive to maintain. Look at the expense ratios on the funds where your money is invested. Are you paying 1% or more in fees? Sure, this may not sound like much if you’re just getting started on the road to retirement savings. You may have $1,000 sitting in your 401k — and 1% of $1,000 is just $10. What’s the big deal? The problem is that those expenses compound over time right along with your earnings. The more you earn, the more your active mutual funds will cost you. Over your working career, fees and high expense ratios could skim hundreds of thousands of dollars off the top of your nest egg. Not convinced expenses don’t make a difference? You can play around with this graph (that comes with an in-depth discussion on expenses) to see exactly how fees eat away at the value of your wealth over time. 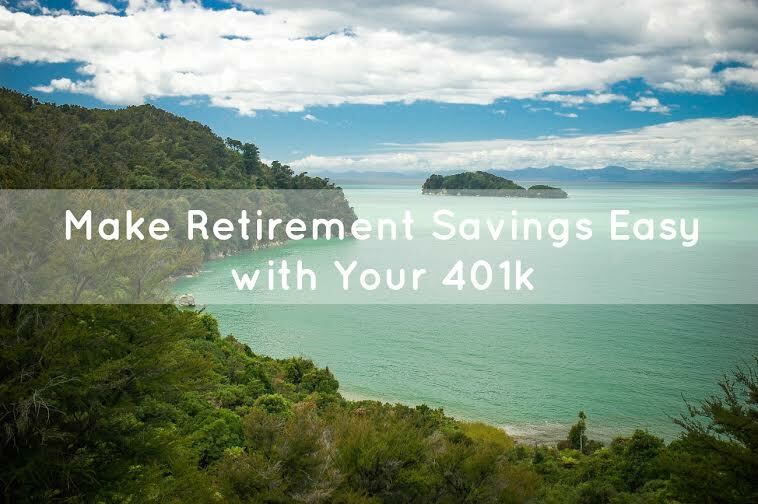 For the most part, 401ks offer young professionals an excellent — and easy — way to get started with saving for retirement. But there are a few circumstances in which workers need to be careful about how they use this retirement account. High income earnings need to avoid maxing out their 401k accounts too quickly, especially if you’re also receiving a company match. Most companies match up to a certain percentage over each pay period. You can actually lose out on that “free money” if you front-load your 401k with contributions at the beginning of the year. Additionally, some companies only offer very small and limited 401k plans. There may be contribution limits and you may not receive that golden employer match. If this is the case for you, opening your own account may provide a better retirement savings option. You can open a traditional IRA with a company that offers no-load index funds, like Vanguard, and be much better off than contributing to an employer 401k plan. You’ll have more investment options and the funds available to you will likely carry lower expense ratios, as well. Are you contributing to your 401k? Do you have any questions about getting started with your employer-sponsored retirement account?